Three weeks have gone by, and finally I've figured out what I think. I know, I know. I'm slow to process such things. There were many who would gladly have digested the experience for me, but I resisted. This was big. Huge even. I had to figure it out for myself, even if it took me, well, a few weeks. First, I'm furious. Second, if I had it all to do over again, I would. Gladly. And I hope you would too. Of course, I'm still furious at the Fitzwalker weasels for all the damage they're doing to our beloved state. But I'm also furious that Obama tweeted his "support" in the eleventh hour, that the DNC's idea of "support" was to come to Wisconsin to squeeze more money out of people who'd already given their hearts and souls and more money than they could afford to the recall effort, not to mention the money the Fitzwalkers have already stolen from them. They threw us under the goddamned bus. Three weeks of grieving. I keep thinking of all of you who worked so incredibly hard. Collecting signatures in the freezing cold. Organizing and canvassing and connecting and generally working your asses off. The result is so bitter, so hard to swallow. Our state has been occupied by greedy corporate plunderers who believe the 1% are more worthy than the rest of us, who care nothing for our children's future, for the unemployed, for students and teachers, for our health, for our state's precious natural resources, for truth and transparency. Not only is the result hard to accept. It's hard to believe it's legit. Regardless of whether there was outright fraud or just a gross billionaire-funded burial of the state in outsize lies and propaganda, or both, the system is rigged. We the people have been subsumed by them the corporations. In spite of the outcome, in spite of how hard it is to accept, it was the right thing to do. In fact, it's still the right thing to do. We need not apologize for having attempted to rid Wisconsin of its weasel infestation. We didn't fail. We were failed—by a rigged system and by the milquetoast pseudo support of Obama and the DNC. That we didn't succeed only means that resistance is more essential than ever. The weasels are ruthless, organized, and loaded with dirty billionaire dough. As Robert Kraig so rightly observed, "A movement is not something that can be defeated by one election. ... It bears remembering that the modern conservative movement was established out of the ashes of a decisive electoral defeat, Barry Goldwater’s landslide presidential loss in 1964." A little voice in my head keeps saying, "Don't mourn! Organize!" But I can't tell you not to mourn, as I am doing my own mourning. But I will tell you to organize. What does it take to organize? Nothing fancy or complicated. Just friends, community, and learning. By "friends," I mean strong, lasting, deep friendships that you can count on when your back is up against the wall. 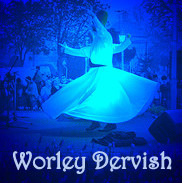 Real community happens when every member counts, every member has a voice, every member is worthy of care and respect. A community cultivates cooperation, understanding, and confidence, in each other and in our leaders, even and especially when we don't agree. We have only just begun to build solidarity, and in spite of how often or loudly we chant otherwise, we don't always know what democracy looks like. But we are learning. And we must continue to learn, to educate ourselves and each other. To give ourselves and each other the benefit of the doubt, and to forgive ourselves and each other when necessary. 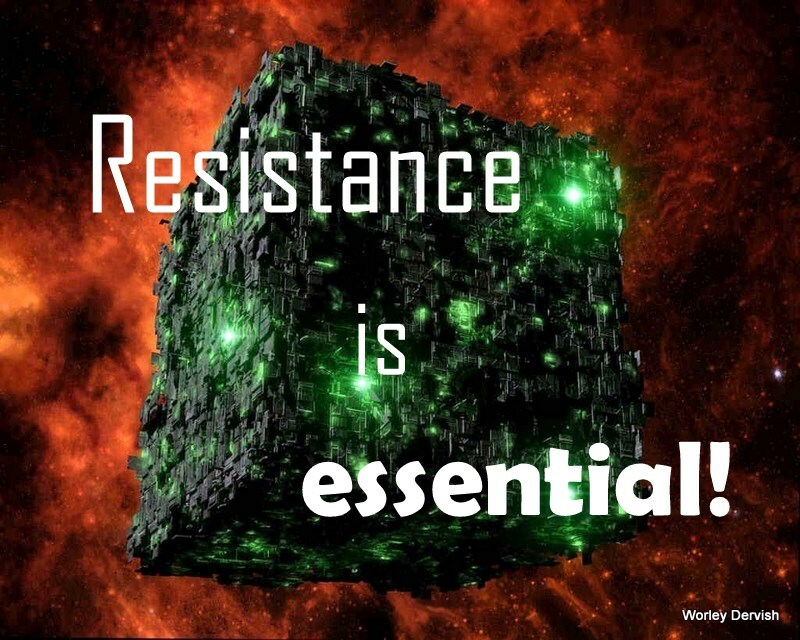 We have to keep raising our voices, in defiance of the cacophony of the corporate mass media and the rabid right spin machine. We have to keep resisting, to keep singing. Thanks to a stalwart band of determined activists, the Solidarity Sing Along continues to be an important point of daily resistance, as well as an important point of community learning and organizing. We're still putting the Fitzwalker weasels on notice: We're still here. We're not going away. We can't stop now. We're only just getting started. # # #Many thanks to Leslie Amsterdam for use of her photo (top). In 1984, Geraldine Ferraro was the first female vice-presidential candidate in U.S. history. I think she was the first female political candidate to register on my radar. I was twenty-eight years old. I was a long way from being the political junkie that I have become. I didn't yet identify myself as a feminist. At best you could say I was paying casual attention. I had no idea that any of it was all that important to me, but around the time Ferraro and Mondale lost the election, I had a very vivid dream. I dreamed that I met Ferraro, shook her hand, and thanked her profusely for running. I told her how important it was to me personally that she had run, and I shamelessly begged her to run again. I woke up surprised. My subconscious mind had a more active political life than my conscious mind did. Obviously the dream was powerful enough that I've not forgotten it twenty-eight years later. (OMG, has it really been that long?) I had a lot more of myself invested in Ferraro's candidacy than I realized, just for the very simple reason that she was a woman—well, a smart woman who said things that resonated for me. Twenty-eight years later, here I am in Wisconsin, startled to find myself and my friends on the front lines of the battle for democracy. In my evolution as an activist feminist political junky, there have been candidates and political leaders I have felt a strong connection with: Russ Feingold, Tammy Baldwin, the Fab 14, the Assembly democrats in their orange tee-shirts. But absolutely no one has struck a chord with me like Lori Compas has. She is exactly as she describes herself: a citizen candidate. Had it not been for the Fitzwalkers' outrageous political overreach, Lori, like many of us, would likely have carried on with life as usual, in Lori's case, being a mom and a businesswoman. But there's nothing usual about what's happening in Wisconsin. Every week or so, like so many others, I find myself doing things I've never done before: Gathering signatures. Talking about politics to neighbors, acquaintances, and strangers. Discovering that, lo and behold, I have a voice. Who knew? By deciding to run against Fitzy, Lori took that "politics as unusual" thing so many of us are going through several steps further. On May 23, I had another of those political firsts. I went to my first live political debate. Not super monumental, maybe, but anymore it seems like the opportunity to see one of these rapers of the public good called to account without party and mass media gatekeepers running interference is rare indeed. 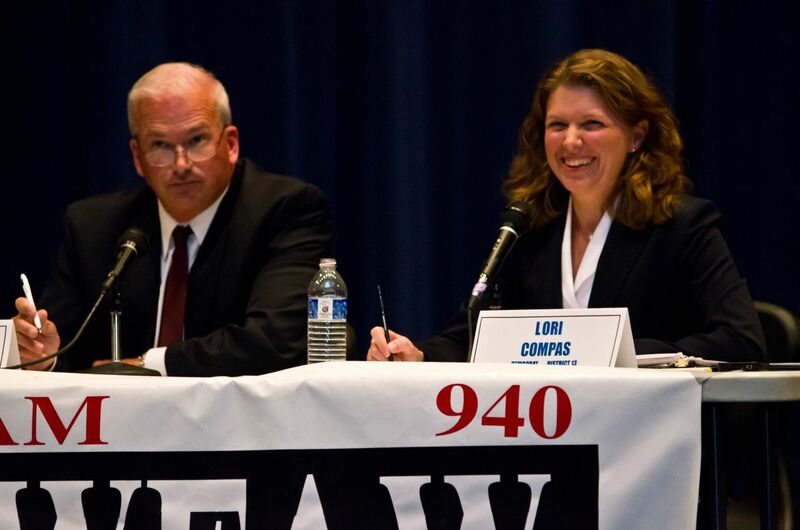 And this was none other than our very own Lori Compas challenging the oh-so-full-of-himself Scott Fitzgerald to account for his actions as the elected representative of Wisconsin's lucky 13th senate district. That debate alone was a huge victory for all of us. I loved watching Fitzy's face get redder and redder as he worked so hard to keep his temper in check. I loved seeing him on the defensive. And I loved watching Lori calmly stand up to him and call him out. Here's a little secret: I am easily intimidated. (Don't tell anyone, okay?) So when I see someone—anyone—stand up to an individual who not only is powerful but abuses that power, I am in awe. The catharsis is visceral. And that's how it was for me the night of the debate. My inner child was doing a wild, happy jig. Many of the things Lori said that night were really important and needed to be said right to Fitzy's (red) face. Democracy doesn't stop when we cast our ballots. It's a continual process. We need to watch our leaders and hold them accountable, and this right is protected in our constitution. What we're seeing here is a pattern of abuse of power and betrayal of trust. The senator broke the open meetings law, he forced his fellow legislators to sign secrecy pledges, and he didn't campaign on these major policies that he has imposed on our society. He didn't tell us he wanted to divide and conquer us. Is her closing statement, Lori made clear to Fitzy that he is accountable to the people of his district. He may think he's working for Walker. He may think he's working for ALEC and his corporate backers. But Lori made it crystal clear that the senator is supposed to be working for the people of senate district 13. Our discussion tonight has shown that the people of our district have never had a clearer choice between the entrenched power of a career politician and the grassroots energy of a citizen candidate. We are here tonight because the senator abused his power and betrayed our trust. He campaigned on jobs and economic development, but instead of jobs, he gave us divisive policies that polarized our state. We didn't ask him to roll back women's rights, but he did. We didn't ask him to roll back voting rights, but he did. We didn't ask him to roll back workers' rights, but he did. And in doing so, he turned neighbor against neighbor, friend against friend. He led the effort to execute a plan that was, in Governor Walker's words, designed to divide and conquer us, his constituents. As upsetting as these policies were, the process he followed was even worse. He shut down debate, he silenced our voices, he had absolute power, and he used it to hurt us. And last winter, twenty thousand of his own constituents told me that they could not bear this to go on. They told me it was time to stand up for what's right. They told me they didn't want him anymore. I'm honored that the volunteers turned to me to serve instead, and I'll do my best to be worthy of their trust. I will be a senator who's open and accessible. I'll return the focus of our district to create jobs, fund education, and provide affordable health care. I'll help return to Wisconsin's best traditions of cooperation and civility in the legislature, and I'll be honored to serve as your voice in the senate. As I said from the beginning, this campaign isn't about one person, and it isn't about one political party. It's about our shared belief that people should matter more than money. It's about our belief in open, honest government. It's about our belief that legislators should represent their constituents honorably. The people I've met during this campaign—Republicans, Independents, and Democrats—have shown me that there is so much more that unites us than divides us. This gives me great hope. I'm offering you a clear choice. 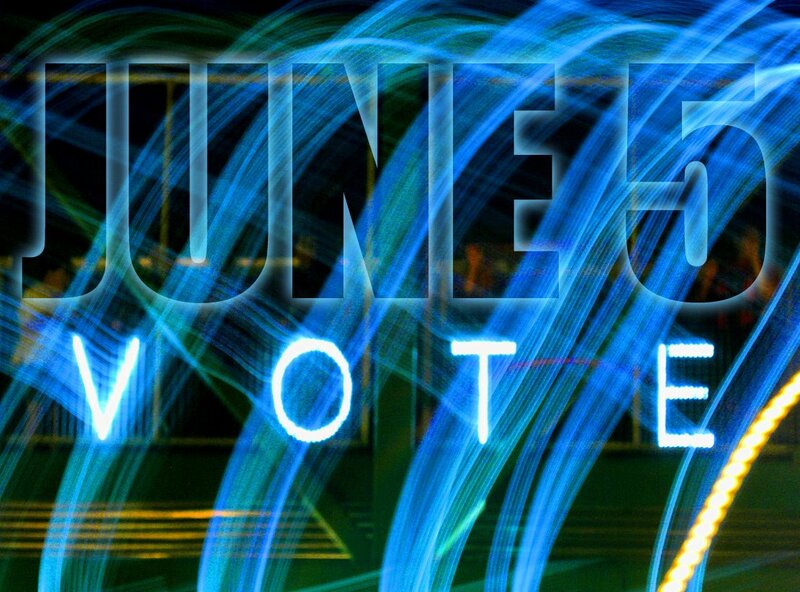 I ask for your vote on June 5th. I tried to explain to Lori (in person, not in a dream!) after the debate how much her candidacy means to me. I even tried to tell her about the Ferraro dream. But I failed to get across how much her courageous advocacy means to me. I'm doing better as I write this now, but I'm still not able to adequately express how deep and powerful my feelings are. I just know that there are many others whose feel the same. I expect they'll understand. So here were are on June 4. June 4, 2012. I can hardly believe it. Unlike 1984, I know exactly how much of myself is invested in what happens tomorrow, not only in the race for governor, but also in the races for the senate. And especially in the Compas-Fitzgerald race. Every fiber of my being, every corner of my mind—conscious and subconscious—is pulling for Lori. And Tom. And Mahlon. And the amazing recall fighters of Wisconsin. There’s no way I’m going to be able to sleep tonight. I swear to God you are the coolest, most awesome people on earth, and I count myself incredibly privileged and honored to be among you. Despite formidable and even vicious opposition, you have more than risen to the challenge. You have consistently refused take Walker’s “no” for an answer. You marched and chanted in all kinds of weather. You camped out in the capitol. You doggedly and cheerfully collected a million signatures. No matter how loudly you have been shouted at, you have outsung the opposition every time. When they put up ginormous signs paid for by gazillionaires, you made your own, some of them with little twinkly lights that shine in the dark on overpasses all over the state, some of them in your lawns and gardens. Some of you have run or are running for office, while others of you are working your butts off for the recall candidates' campaigns. In huge ways and small, you've transformed your lives for the sake of Wisconsin. Your passion and devotion are breathtaking. The opposition can’t hold a candle to your Overpass Light Brigades. Their astroturf has none of the life and vibrancy of your luscious grass roots. You are incredibly creative, talented, innovative, and courageous. You are all heart and then some. I know you’re working your asses off this weekend to get out the vote, and I thank you with all my heart. Together we can liberate this beleaguered Fitzwalkerstan and reclaim Wisconsin. My husband, who understands and even likes statistics, wants you to think about this: In the May 8 recall primary, 54,000 more votes were cast statewide for the recall candidates (Barrett, Falk, Vinehout, Kohl-Riggs, and Lafollette) than for Walker and his “Democratic” ally, Huber. 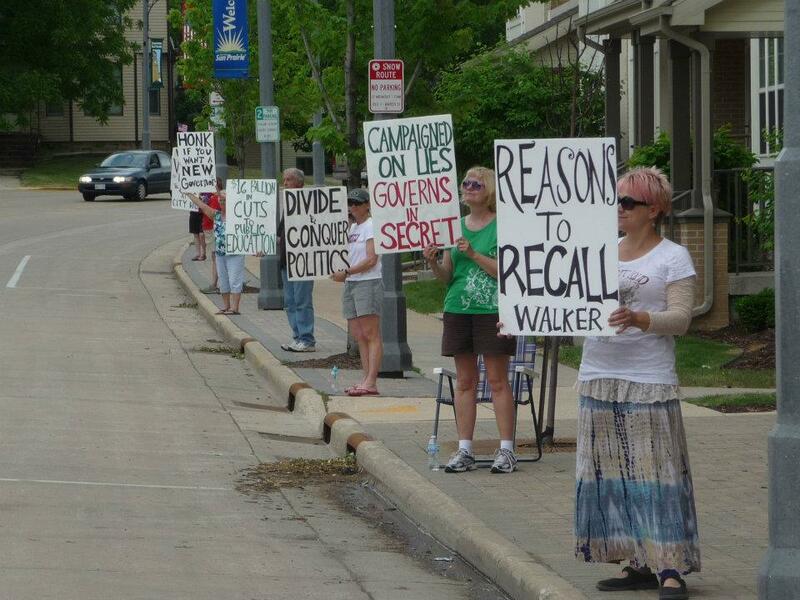 Counties preferring recall polled 189,000 more pro-recall votes than pro-Walker votes. The pro-recall counties were led by Dane, with 80,000 more votes for recall than for Walker, and Milwaukee County, with 61,000 more votes for recall. On the other hand, pro-Walker counties polled 135,000 more votes for Walker + Huber than for the recall candidates. They were led by Waukesha County, with 44,000 more votes for Walker + Huber than for recall, and by Washington County, with 18,000 more votes for Walker + Huber. 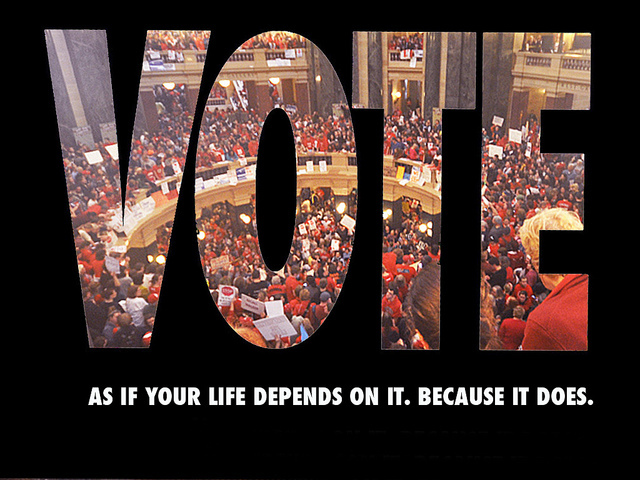 In Madison alone, there were approximately 97,000 registered voters who did not vote on May 8. That's about three out of five registered Madison voters who did not vote on May 8. And who even knows about eligible but unregistered voters? Turnout in Madison was about 41 percent on May 8. With over 165,000 registered voters in Madison, fewer than 68,000 voted. Of those who did, 86 percent voted for recall. If that percentage holds fairly steady with a big increase in voter turnout, we’ll win this. Fitzwalkerstan will be no more. We will have reclaimed Wisconsin. To say that there’s a lot riding on this election is a gross understatement. It’s entirely possible that there will be no election in our lifetimes as important as this one. This is the populace versus big money, human beings versus corporations, democracy versus plutocracy. In spite of the Democratic Party’s chronic myopia, this is where We the People begin taking our country back from the corporate thugs who thought they could buy it out from under us. Now is the time to pull out all of the stops. Even introverts like me need to crawl out of our hidey holes and engage. I found myself on Thursday saying to the cashier in the checkout, “Be sure you vote on Tuesday!” I went to two Solidarity Sing Alongs in one day and made phone calls to potential canvassers in between. I tweeted my way through Thursday night’s debate. Never in my wildest introverted dreams did I ever think I would do such things. But if not me, then who? If not now, when? I just wish I could do more, and I’m grateful beyond words for all of you who are doing so much. What we do in the next few days matters a whole lot. What we do right here in Madison matters a whole lot. 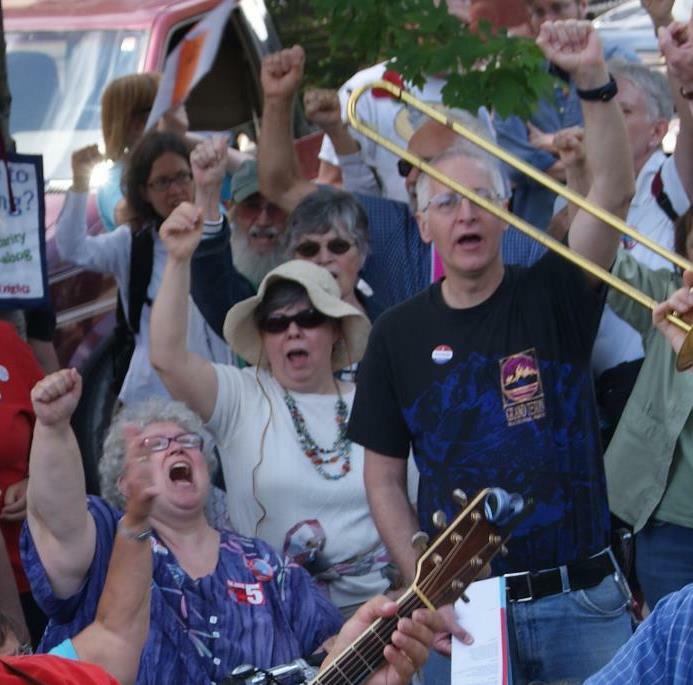 This is our chance to show the world what Wisconsin democracy looks like. This is where the recall meets the road. Vote responsibly: bring a friend. # # #Statistics lovingly parsed by Tom Worley and provided by the Government Accountability Board, and the Madison City Clerk. Sun Prairie sign brigade photo by Heather DuBois Bourenane. 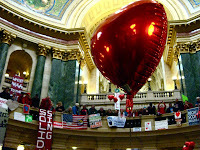 Rotunda heart balloon photo by Jenna Pope. 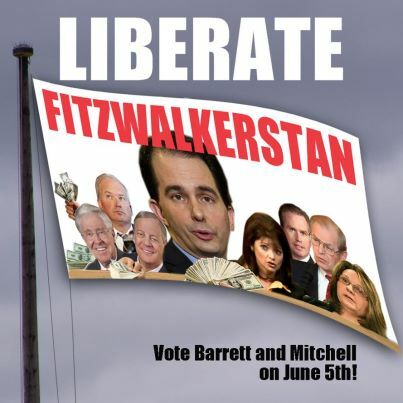 Liberate Fitzwalkerstan made just for me by the inimitable Michael Martin. June 5 vote photo by Michael Matheson. It All Comes Down to One Day video by We Are Wisconsin PAC. Vote As If Your Life Depends On It photo by Peter Patau.